This family park has it all with three swimming pools which are heated seasonally, a tennis court, well-stocked kiosk, camp kitchens, barbecues, a playground and recreation room. Park accommodation includes a wide variety of two and three bedroom villas that sleep from four to nine guests. Villas on the waterfront have picturesque views, and for the budget conscious, the lodging rooms are ideal with shared facilities. The wide range of sites is suitable for caravans, camper trailers, camper vans and tents. Options include waterfront, ensuite, powered and un-powered. A boat ramp adjacent to the park provides easy boating and fishing access. 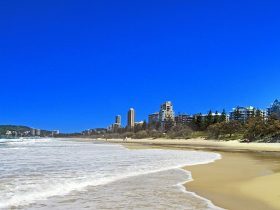 Scenic Burleigh Heads National Park is within a short stroll for bushwalks and spectacular views. 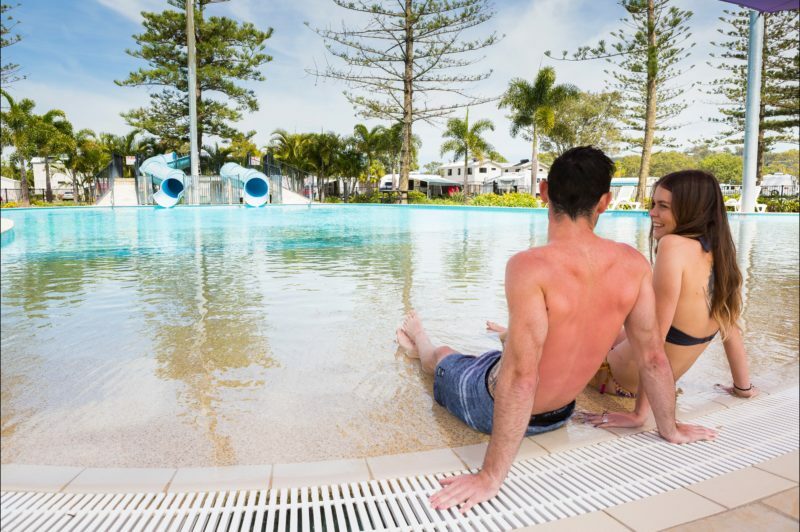 The drive to theme parks and Surfers Paradise is a comfortable 30 minutes from the park and easy access to public transport gets you to nearby golf courses, restaurants, and services clubs. Self contained two bedroom villas set amongst landscaped gardens, all include linen and towels and sleep up to four people with a Queen bed and one bunk bed in the second bedroom. 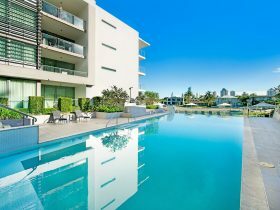 Features include a fully equipped kitchen with hot plates, microwave & fridge, air-conditioning, ceiling fans, LCD television with DVD player, Foxtel, front balcony with barbecue and outdoor table. Close to the water, set behind the waterfront villas. 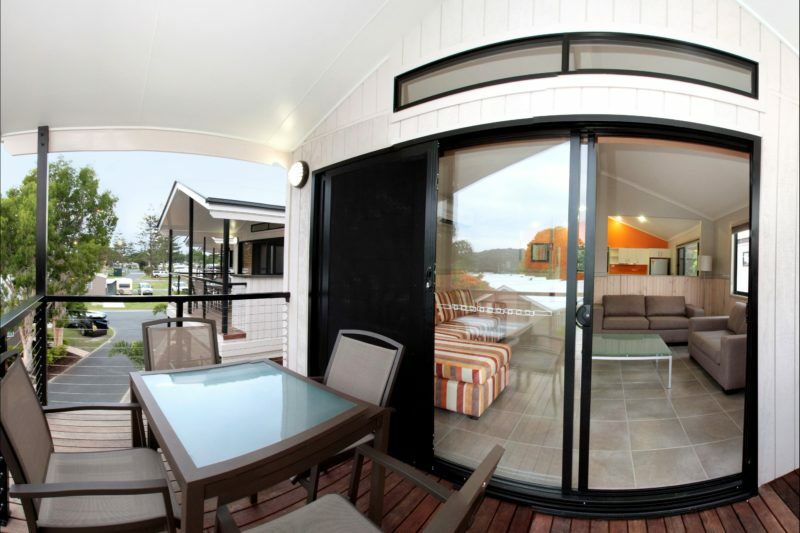 Choose from a wide variety of waterfront, ensuite, premium, powered and unpowered sites. 273 powered sites and 16 ensuite sites. 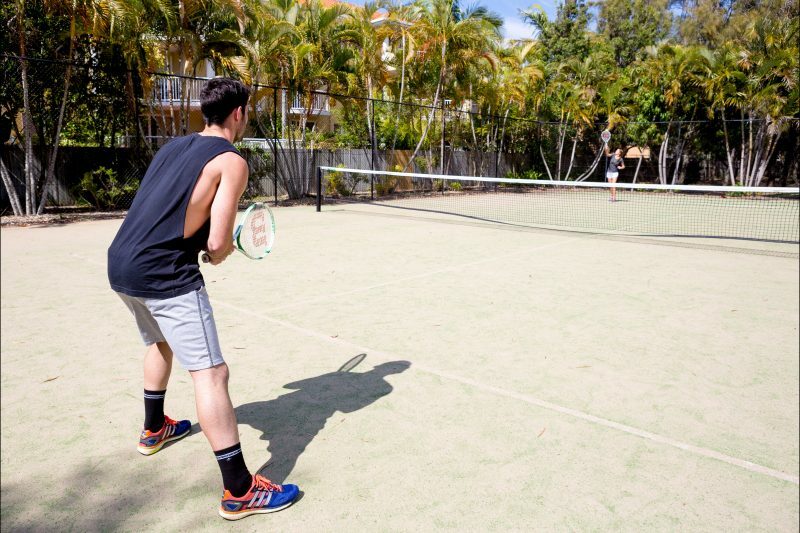 This family park is packed with facilities for all ages including three resort-style swimming pools (heated seasonally), recreation room, tennis court, children’s playground, barbecues, camp kitchens and kiosk. 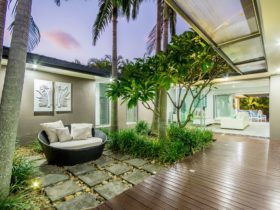 Self contained two bedroom waterfront villas all overlook beautiful Tallebudgera Creek. Four Berth contain one Queen and one Bunk bed, Five Berth contain one Queen, one Double with Single bunk over bed and Six Berth contain one Queen and two Bunk beds (all linen included). 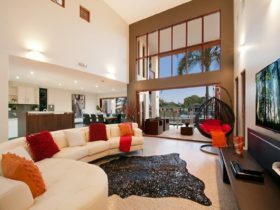 Villa features include a fully equipped kitchen with hot plates, microwave and fridge, air-conditioning, ceiling fans, LCD television with DVD player, Foxtel, front balcony with barbecue and outdoor table. The two bedroom deluxe villas offer luxury and spacious living over two storeys, fully self contained with linen and towels provided. They sleep either seven or eight with either a Queen and four Singles (two bunks) or two Queens with a single trundle bed. Both styles have a Double Sofa Bed in the lounge area and a private laundry facility. 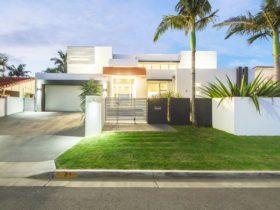 Features include an upstairs living area, fully equipped kitchen with dishwasher, oven, hot plates, microwave and fridge, air-conditioning, LCD television with DVD player, Foxtel, upstairs balcony with barbecue and outdoor table, and private balcony off master bedroom. Spacious with plenty of room for friends and relatives. Self contained two bedroom superior villas are either elevated with parking beneath, or offer a tranquil garden view. Linen and towels are provided and they sleep either five or six people with a Queen bed and either two bunk beds or a double with single bunk over bed in second bedroom. 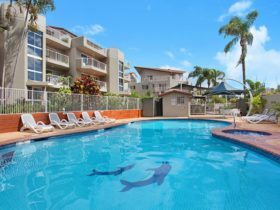 Features include a fully equipped kitchen with hot plates, microwave and fridge, air-conditioning, ceiling fans, LCD television with DVD player, Foxtel, front balcony with barbecue and outdoor table. Most with beautiful scenic views! Self contained three bedroom villas both have absolute waterfront views to enjoy! Linen and towels are included, two Queen and five Single Beds, fully equipped kitchen with dishwasher, oven, hot plates, microwave and fridge, air-conditioning, ceiling fans, LCD television with DVD player, Foxtel, front balcony with barbecue and outdoor table, washing machine and dryer. Spacious with plenty of room for friends and relatives. Ideal for the budget conscious, all lodging rooms sleep up to two with a Queen bed (linen and towels included). Features of the room are a mini fridge, television, ceiling fan, air conditioner and lounge seating. Bathroom and cooking facilities are shared. The camp kitchen is fully equipped with a fridge/freezer, hot plates, microwave, toaster, kettle and barbecues.